Home improvement is always a good idea. There is nothing that shows your love for your house more than your investment of time and money in home improvements. 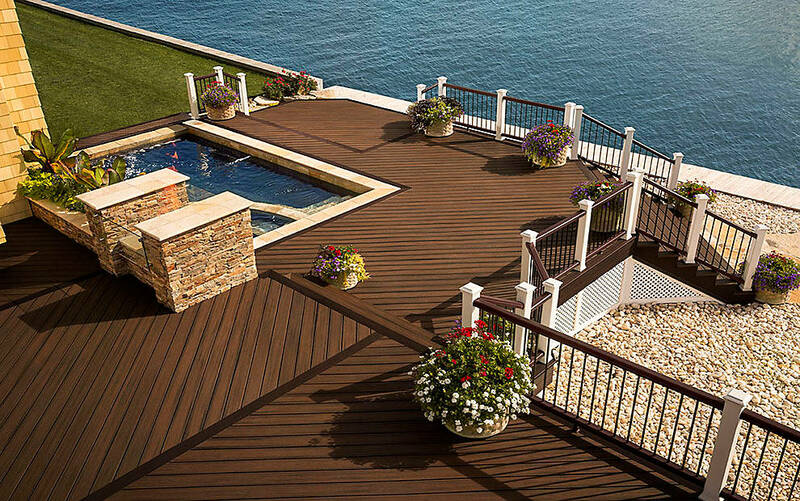 Composite decking can make your house look more beautiful and elegant. It not only helps to intensify the beauty of your house but it also adds value to the building both environmentally and financially. When you are planning on building a trex deck at your house then there are certain ‘dos and don’ts’ you need to follow. Some people have a passion to work on their homes. They try their luck in almost everything from being a plumber to being a gardener for their house. Some people try their luck with building a deck as well. The materials and tools required to build a composite deck can be easily bought from the market. That being said, the product knowledge needed to install a Trex Deck are not as well known. If you have the knowledge and skills, then you might be able to pull off building an amazing composite deck for your house however if you are trying it for the first time and you aren’t skilled enough for it then that might be a problem. It is always better to hire a professional to do the job. A professional would know better on how to build the deck as per the requirements of your house. He would be more experienced to judge what color, shades, pattern or material you should use for your deck. Most importantly a professional would be more equipped to build a composite deck that focuses on safety as well as quality. Even though Trex decks are slip and splinter free, they can still be dangerous if built by unskilled hands. When it comes to investing on building a composite deck at your house, it is always better to build a deck with Trex as Trex is one of the most durable and efficient composite for decking. There are several companies in the market that sell Trex and other materials for decking however it is crucial to choose materials that are high quality. You can also find several different qualities of Trex in the market, make sure you buy the best one. It might seem expensive to you but it will always be good in the long run as very little maintenance cost is associated with high quality Trex. Even though Trex is relatively termite free as compared to wood decks, there are always chances for it to be infected by insects. Look for small holes on the surface and if you find a few then it’s time to call a professional to get rid of the insects. In the long run insect infection can drastically damage your deck even causing the entire set up to decay. You shouldn’t use any dangerous chemicals or insecticides to get rid of those insects as these products might also damage the surface of your Trex deck. Try to buy products that are approved from regulatory authorities. There are many companies that offer products that can be effectively used on your trex deck in order to get rid of termites and other insects. Sanding is considered important or even necessary for traditional wood decks, however extensive sanding of composite decking should always be avoided. Sanding does have a lot of pros but it is not without its cons as well. It can damage the surface of your deck and may require you to spend more money on improving your deck in the future. It should also be noted that there are many different tools and materials out in the market that can aid you in sanding of your decks. If for some reason you have to perform sanding then make sure you use the right tools and materials. All these composites are good however they lag way behind Trex when it comes to quality, durability and maintenance. You should never compromise on quality when it comes to building a composite deck. Even if Trex is an expensive composite, building a trex deck will always be worth it in the long run. It is always better to spend a large amount once instead of spending hundreds on maintenance and keep up every year.